Iran has replaced the US dollar in its official currency rate reporting platform with China’s yuan. The Sanarate portal is Iran’s place of reference for the main international currencies, like the euro and the UAE’s dirham. President Rouhani recently launched some initiatives to strengthen Iran’s currency, the rial. 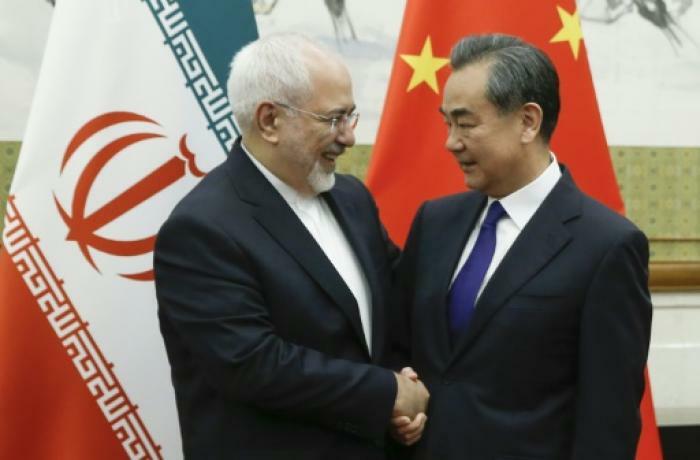 Tehran (AsiaNews) – As many expected, Iran removed the US Dollar from its official currency rate reporting platform and replaced it with China's yuan in what Iranian media say could be a key step toward dumping the greenback in trade. As of Monday, the US dollar is no longer on Sanarate.ir, a website affiliated with the Central Bank of Iran (CBI), which usually displays the average rates of the country's most tradable currencies, such as the dollar, the euro and UAE’s dirham. The rates are the average trading figures from licensed currency exchange shops across the country in different intervals of the day. Searches in the website’s archives now show the yuan instead of the dollar. Iranian media report that the CBI had removed the Dollar from the website after its prices on Sunday exceeded those of the euro – deemed an "unreasonable" phenomenon as the dollar used to always be sold at rates below the euro. In Sunday's trading, the dollar exceeded 102,800 rials whilst the euro stood at around 93,880 rials. The average price for the yuan in Monday trading in the same platform was 11,688 rials. The removal of the US dollar is but the latest chapter in the trade war between Iran and the United States following the decision of US President Donald Trump to cancel the 2015 Joint Comprehensive Plan of Action (JCPOA) and impose the toughest sanctions in history against Tehran and companies and countries that collaborate with Iran. In February, Tehran had announced that it had stopped using the dollar as the official reporting currency switching to the euro among. The goal of this and other measures undertaken is to reduce the country’s vulnerability to US economic sanctions as well as the depreciation of the rial. Earlier this month, Iranian President Hassan Rouhani unveiled a much-awaited package of policies to strengthen the national currency, including mechanisms to control US dollar rates through a recently established secondary currency market.